RANTWICK - Commuter Cycling in London Ontario | A Bike Blog: Dead-Eyed Santa Contest! I've never been a big fan of the Christmas season; I blame part of my crank on 5 years or so working in retail in a Mall. I also have trouble getting behind anything that stresses a lot of people out. But I am trying to change, so I am trying to catch the holiday spirit by hosting a festive contest! I think lots of families have at least one picture like this. I love them. The child pictured here is my now 18 year old daughter. Ah, these are the special times a father never forgets, you know? Anyway, please send me your dead-eyed Santa pictures. The winner will be chosen by the man at my work who has been Santa for many years at the kid's party hosted at my place of employment. He has a real big white beard. His name is Larry, and he is not the man pictured above. Perhaps, when I tell Larry about this great honour, he will allow me to post his picture here on the blog! Won't that be fun? - A childishly hand-crafted tree ornament commemorating your victory and $20 to the charity of your choice! Ho Ho Ho! Hoolleee Contest! 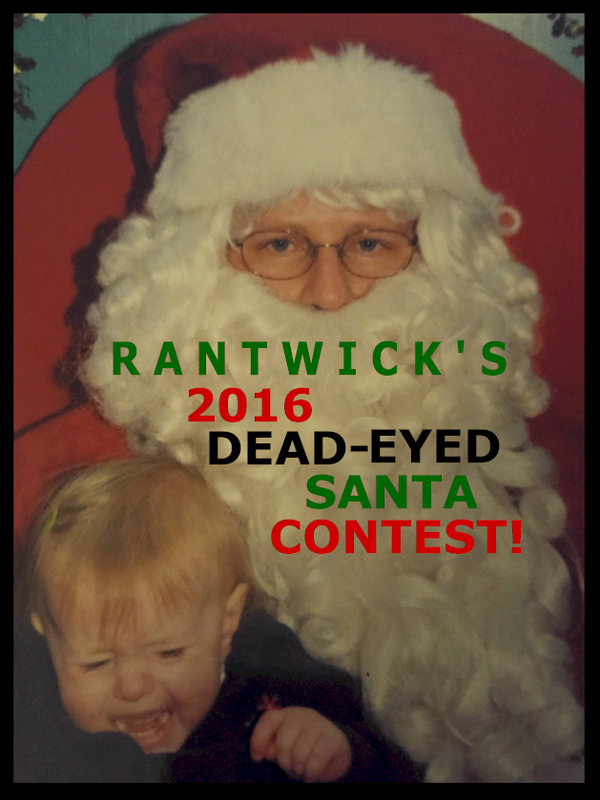 Dead-Eyed Santa - Entry #1!